Rich and Liza Kraemer team up to create and remodel kitchens that fit your lifestyle. They both installed kitchens for years before they decided to tackle cabinet design, project management, and interior design on their own. They design with construction in mind to create stunning and practical design. Kraemer’s Kitchen Factory is a family business that works hard to create a more cohesive process by integrating design, material coordination and purchase, and installation. Located at 1600 Main Street, Suite 13, Pleasant Valley, NY 12569, our design center is our central office. Project management has us at job sites some days so we operate mainly by appointment to give each customer the attention they deserve. 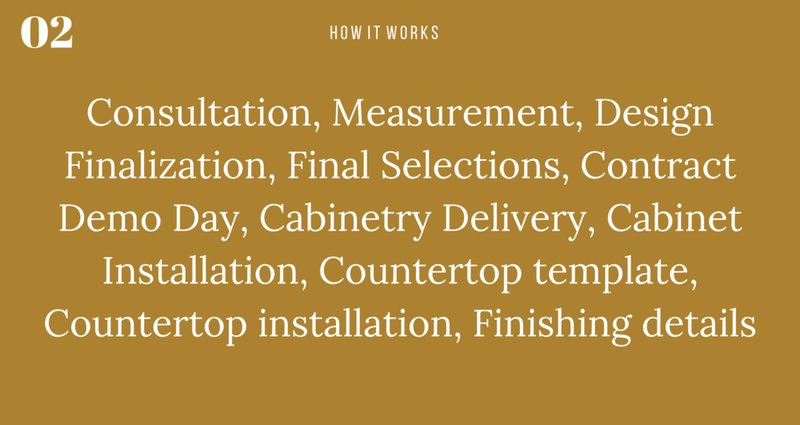 We offer free consultation appointments so there is no pressure if you are simply shopping around or would just like to know more about what we do, how we operate, and how we can help with your project. It does depend on the manufacturer that ends up being the right fit for your style and budget, but on average cabinets can take 4-6 weeks from the date we receive the signed sales agreement and the initial deposit. Because we do strive for a more cohesive process between design and installation, we do offer and recommend our installation services. However, we know that our customers may already have relationships with a contractor or installer and we can also provide you with construction notes and details to help whomever installs.